Tina and Jodie are best friends and find themselves in a rut as they are closing in on their 30th birthdays. Something has to change and a wish to the cosmos might just be the answer. Told in third person this story follows Tina in London, Jodie in France and as a little bonus, Maisie who becomes Tina’s new flatmate. Usually, I find multiple POVs a bit jarring but the transitions between characters is seamlessly done. As such, it makes it a joy to read as the writing continues to flow. Jodie is now married and her partner, Ben, is a writer. As she settles into a new country with a new language to learn, Jodie as a character becomes a little lost and confused over what to do with her life. She wanted away from the rat-race in London but a quiet country life in France just isn’t for her. A mystery related to her dead parents pops up and needs to be emotionally resolved. She provides the positive reinforcement Tina needs to get out of her situation – the twos dynamic may not be the focal point of the story but it feels like there is real thought and feelings put into their relationship. Tina is stuck in a job that is being poached on by the new starter. Feeling like she no longer belongs in the company she decides to start her own literacy agency and hopes to sign Lucinda Penwood whose debut novel she believes will be an instant best seller. All she needs is a little love in her life. 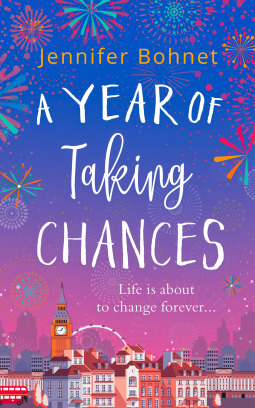 Life changes as she takes in Maisie who followed her now ex-boyfriend to London and was left homeless. There is a nice symmetry between Maisie and Tina who are at different points in their lives but are both finding their feet. Friendship is shown to be a bond which can last a lifetime – no matter how far apart you become. New people are not necessarily a bad thing and changing up your life can lead to a fulfilment that’s unexpected. I understand why this is being marketing as a feel-good holiday read. It’s set in two countries, and has that wonderfully wholesome feeling throughout.